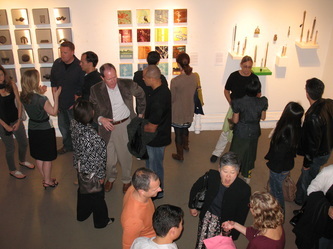 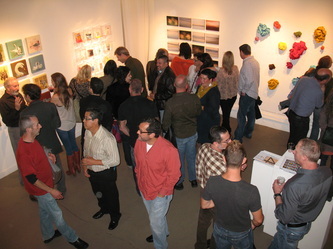 The 2nd Annual "FourSquared" exhibition is a unique exploration of the works of sixteen local, Bay Area artists. 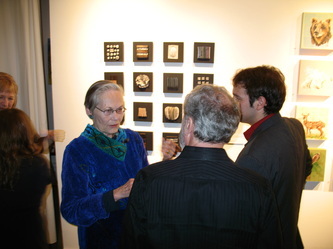 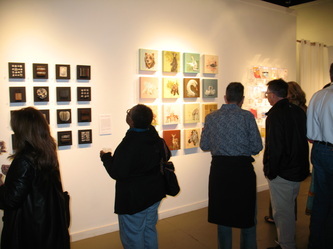 Each of the sixteen artists produces sixteen small works. The works are presented in sixteen clusters, giving the audience the experience of sixteen micro solo exhibitions. 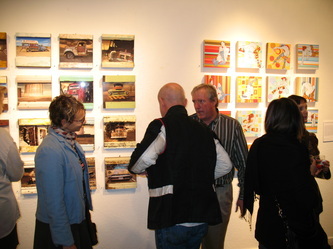 All works are priced under $500. Featured Artists: Annie Arrasmith, John Fitzsimmons, Audrey Heller, Judy Johnson-Williams, Barbara Kleinhans, Kristin Kyono, Paul Madonna, Michael McConnell, Carrie Nardello, Nite Owl, Mark Paron, Sonya Philip, Silvia Poloto, Fernando Reyes, Rebecca Szeto, & Hadley Williams. 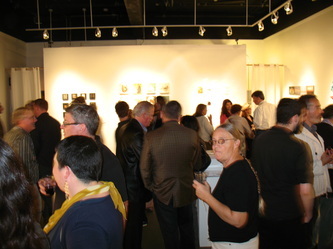 Curated by Michael Yochum & Matthew Frederick, Arc Gallery Partners. Michael Yochum is the author of SF Art News, which maintains an exhaustive list of art events and openings in San Francisco. 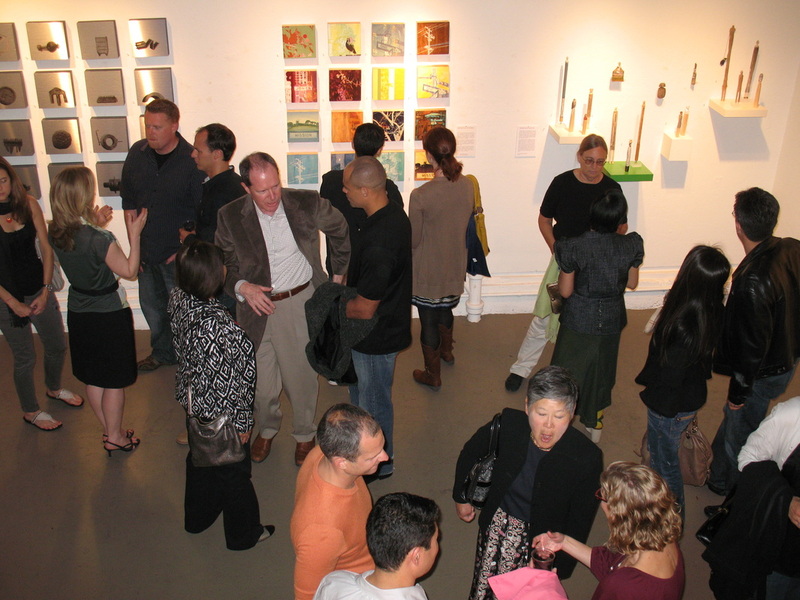 Matthew Frederick is founder of Project Three, an artist collective in the Mission, where he maintains his studio. 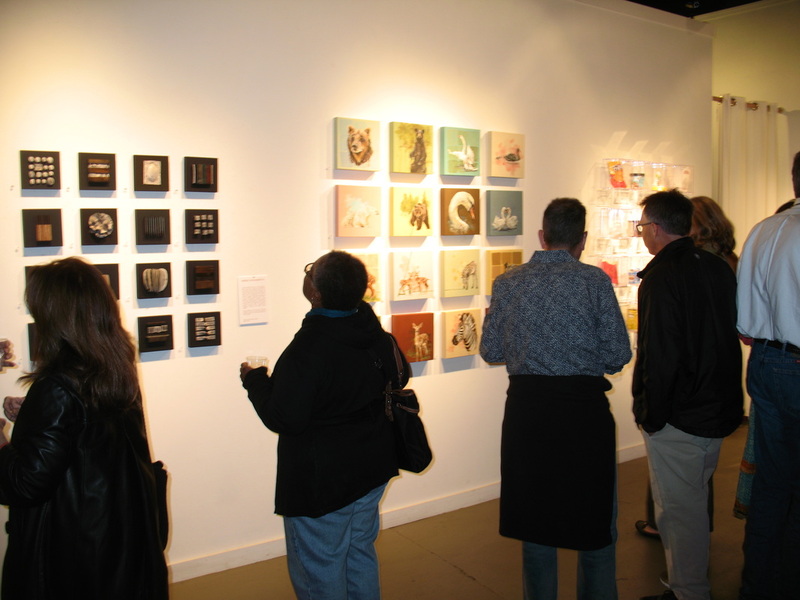 "Four-Squared" is a reflection of the co-curators' strong and abiding interest in local, affordable art and the exhibition includes some of our most talented local artists.